Jacket/pants with matching tie. 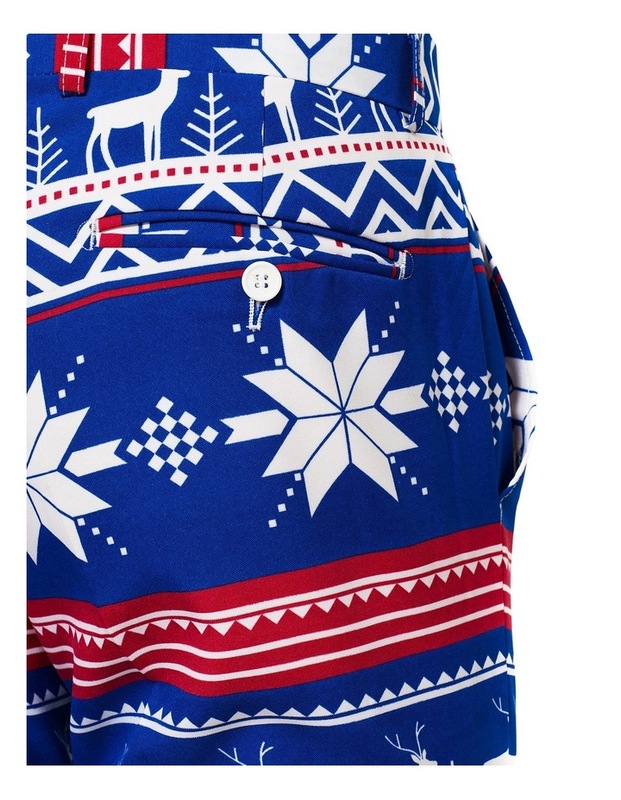 The pants have extra fabric within it for adjustments Made of an open woven, high quality polyester. Suits are packed in retail box made of 100% recyclable paper. 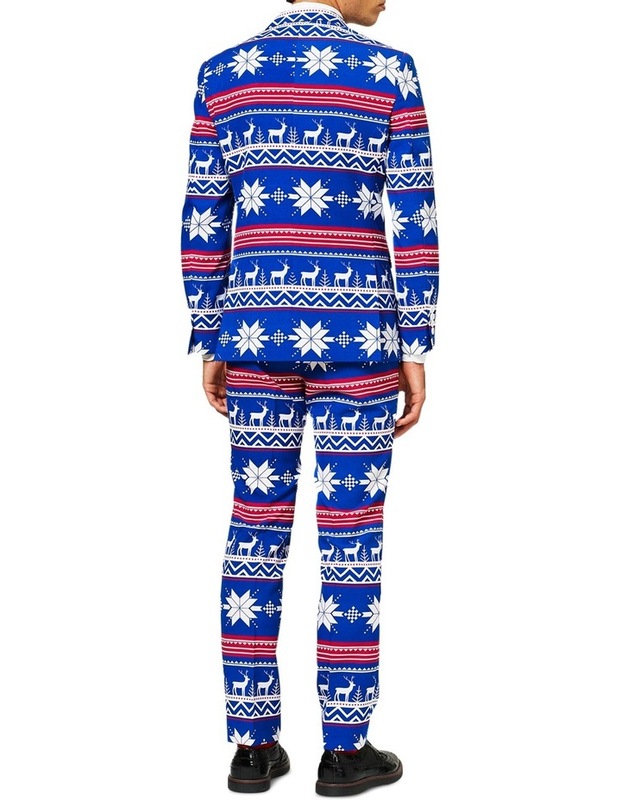 Christmas theme suit. Machine washable. Apparel: Modern slim fit All over print. 2-button front. 4 Inside pockets. 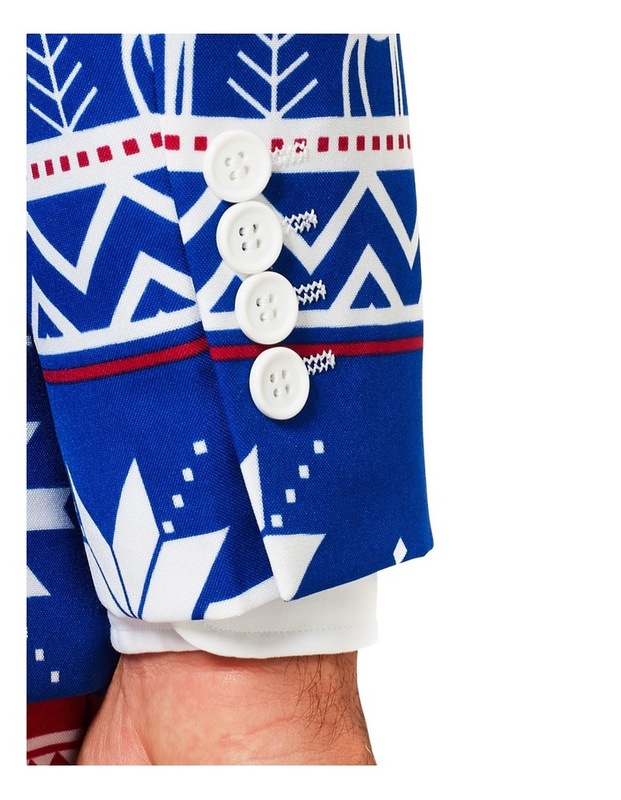 4-button cuff. Double vented back. Front flap pockets. Fully lined. Left chest pocket. Notch lapels. Padded Shoulders. Regular length. 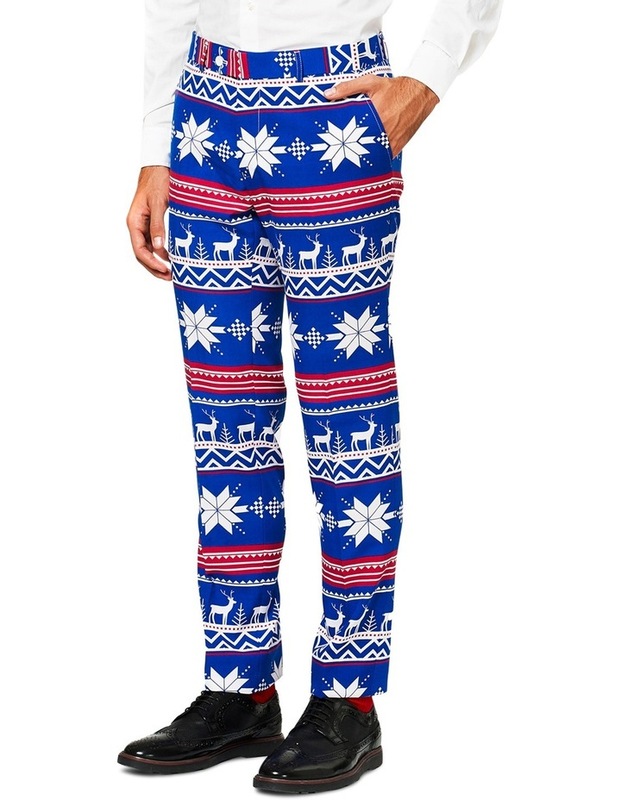 Pants with 2 Back button-through pockets. 2 Side pockets. Belt loops. Extra fabric in Waistband and seams for tailoring. Zip fly with hook and button closure. Accessories: Retail box (can be wrapped as a gift). Fabrication/materials (applies to all) 100% polyester. Keep away from fire. Care Instructions The suits are machine washable at a cold program and they can be ironed on a low temperature. Style Number/Vendor Product Number OSUI-0054. 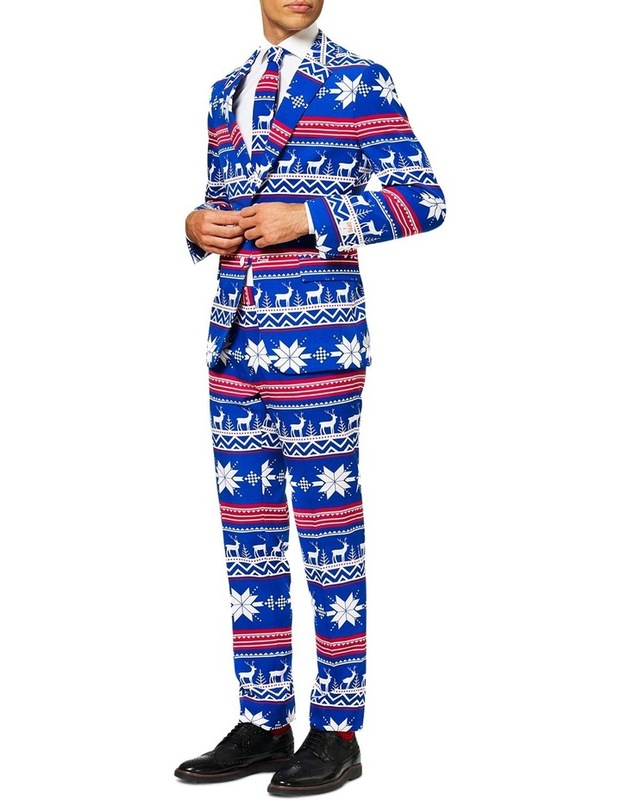 When you see a pack of reindeer hauling a fat guy on a sleigh through winter wonderland, you know you need to suit up in an ugly Christmas sweater suit. 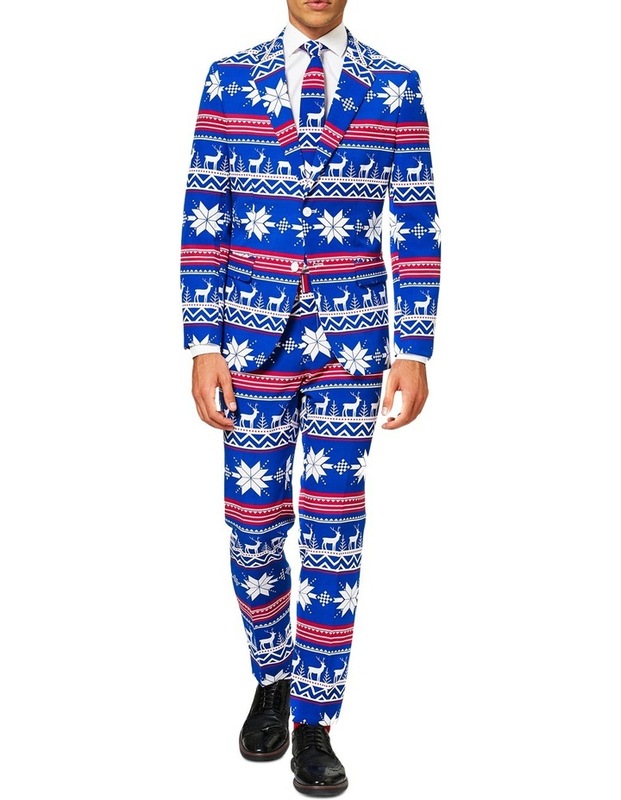 This Christmas suit is as red as Rudolph's nose and will make you an instant hit at every Christmas party. Sleigh game strong.